Growing up listening to the stories of fairy tale, each one of has always wanted and dreamt of living them and what could be a better idea than to grab your piece of fiction from the real houses present in the world which actually looks like as if came out from the old story books. So stop pretending that you all have grown ups and crossed that age and enjoy travelling to these imaginary fairy-tale worlds every once in a while. 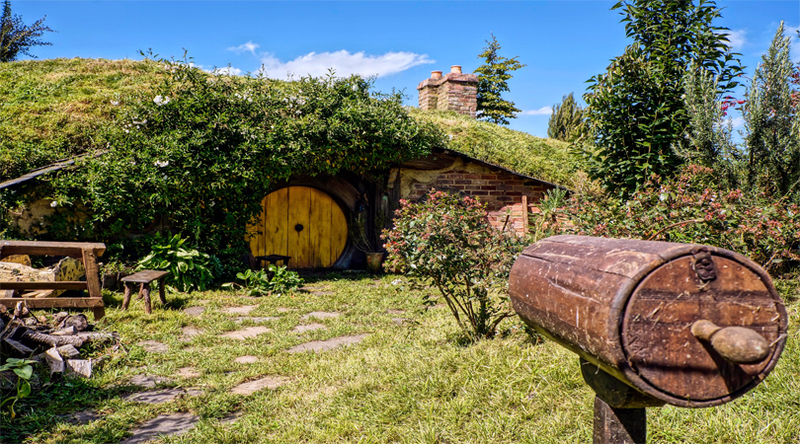 Let’s have a look at the world’s top homes that look like they came out straight from our favorite storybooks, but what’s most important is that they are actually real. Remember the mesmerizing house from the Hobbit movie, which has looked so fascinating and magical, there is same house giving the same feel in the city of Wales. 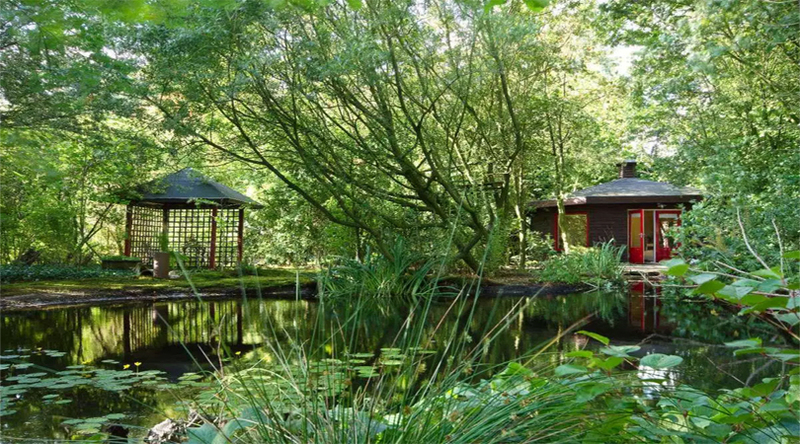 Spread over 7 acres of land, this house has been built in the Lammas Eco Village surrounded by the natural beauty reminding us that we can enjoy living as a part of nature and Earth. Although it is not open for public stay currently, its owners are fighting for its guardianship in order to make it into a hotel. The house is amazingly designed by the architect Javier as a small shell shaped piece of architecture during the time when the young family of two children approached him saying that that they are fed up of living in conventional houses and wanted to change that while living in the surroundings full of natural beauty. The house is inspired by the work of Gaudí and Frank Lloyd Wright with Spiral stairs and natural plantings there giving you a feel as if living inside a snail. 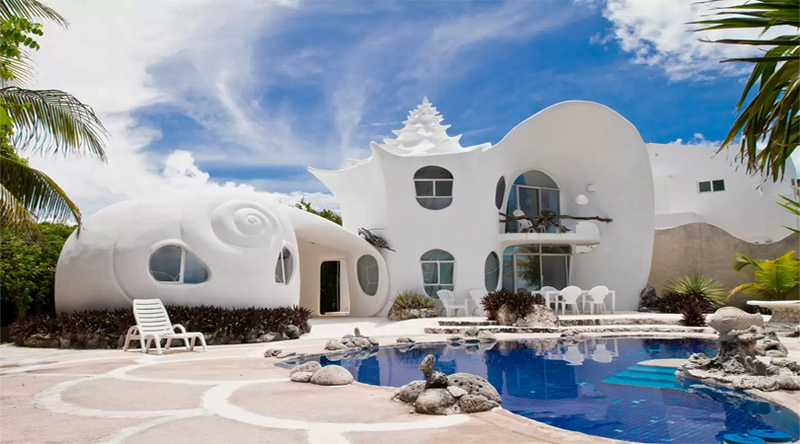 The house is made with gloriously white marvel displaying nothing but a huge architecture looking like a shell. The place is uniquely constructed by the famous architect –Eduardo and his wife with some exclusive properties to enhance its feel. 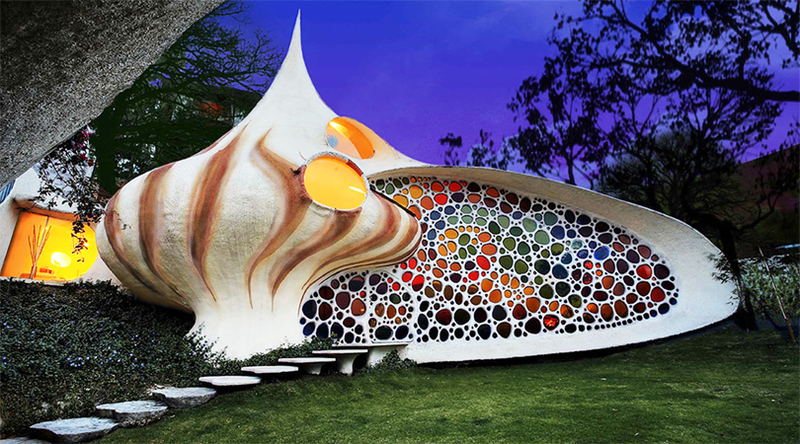 If you want to have one unforgettable experience, head towards this sea shell house of Mexico with the Price per night per head of 180Euros. Read more about: Germany and its Surreal Places. 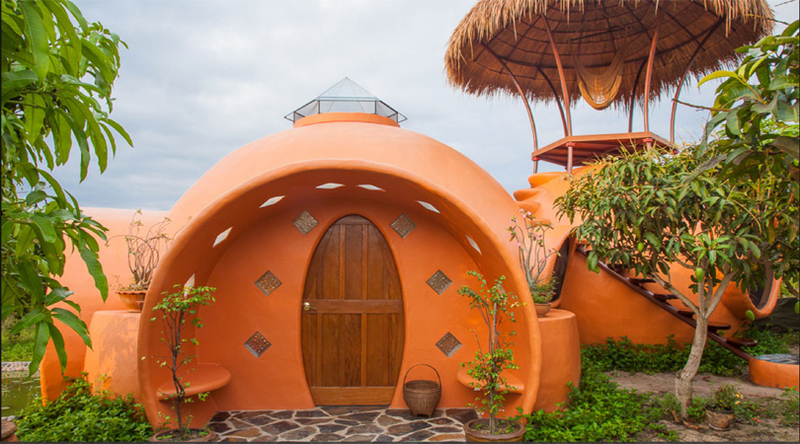 With an idea of building an economical dream house, this orange house is the creative idea of the one brilliant architect Steve Areen. The terracotta paint looks beautiful along the walls and the rich fauna with small ponds surrounding them add serenity to the site. The house is full of windows and natural light where one can enjoy lazing around the afternoons or the view of the stunning pond with lilies. The creator is building more houses of the same structure with a chain that soon will get available for a holiday getaways. 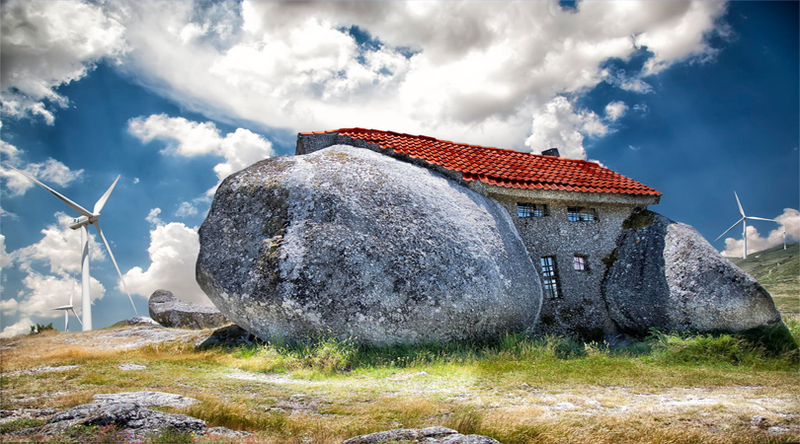 Situated in the Fafe Mountains of northern Portugal, it is a house built with four huge stones giving it a feel of a house from the flintstones. A Casa do Penedo is a rustic house but it does not lack in any of the required amenities which include swimming pool and fireplace constructed with the same large piece of rocks. The place has become a famous tourist spot because of its structure and the lush green surroundings. A perfect fairytale place for those who love natural beauty as the forest house is a fine example of stunning architecture depicting its diversity of designs. 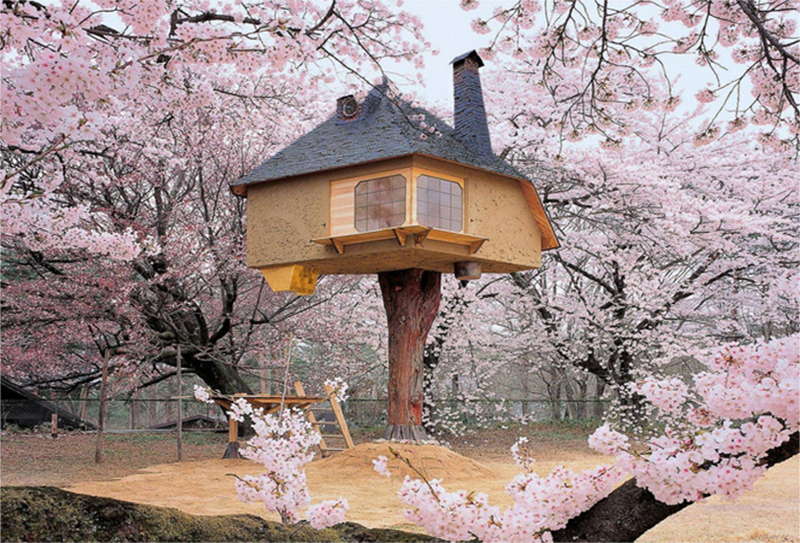 The place different from the known tree houses as this is not a house on a tree, it is a house in a tree. The place looks as if came out from some enchanting story book. The price to live in this charming house is 390 Euros per week. This tipsy-topsy piece of architecture is a hotel in Vietnam, designed by the architect Dang Viet Nga. The house’s inner area is made up of giraffe skin and trees growing out of the house’s roof. The rooms have unjust furniture and an upside down tiger with red eyes! This could be slightly worrying to some but nonetheless very fascinating! The rooms of the house are available at 40Euros a night. It is a stunning house designed by the architect Terunobu Fujimori, with untouched beauty of its outside and simple yet modern from the inside. Located at the Kiyoharu Shirakaba Museum in Hokuto City of Japan, the house is surrounded by cherry blossoms around the corners along with wooden doors creating it a look more fascinating. 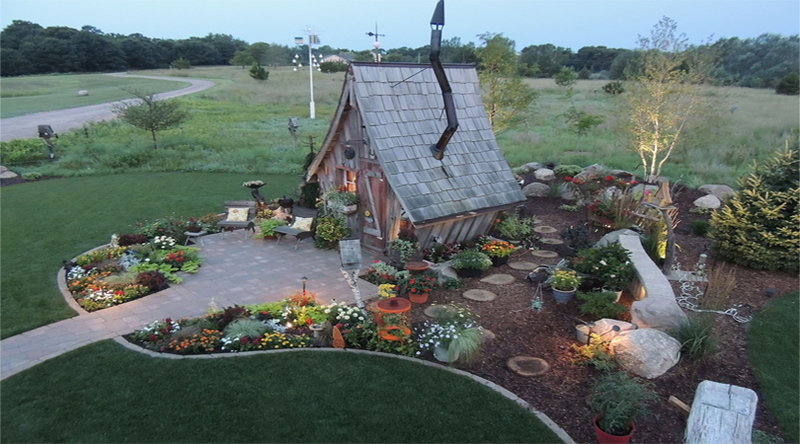 A person named Dan Pauly is the idea generator behind these cute little fairy places. 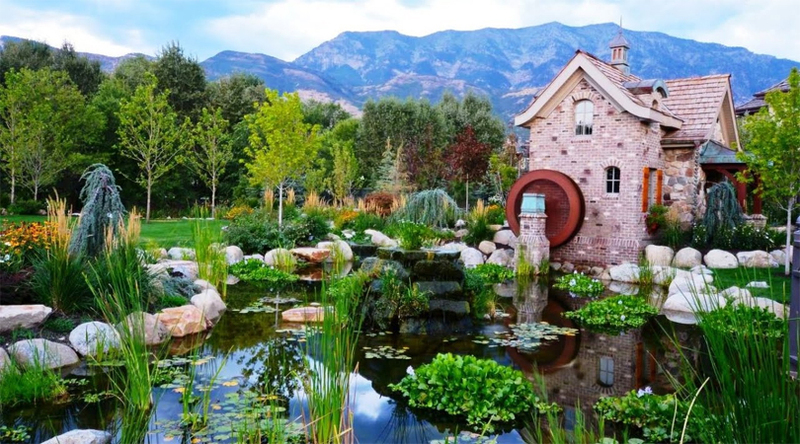 Rustic Way Company specializes in constructing these structures out of wood. 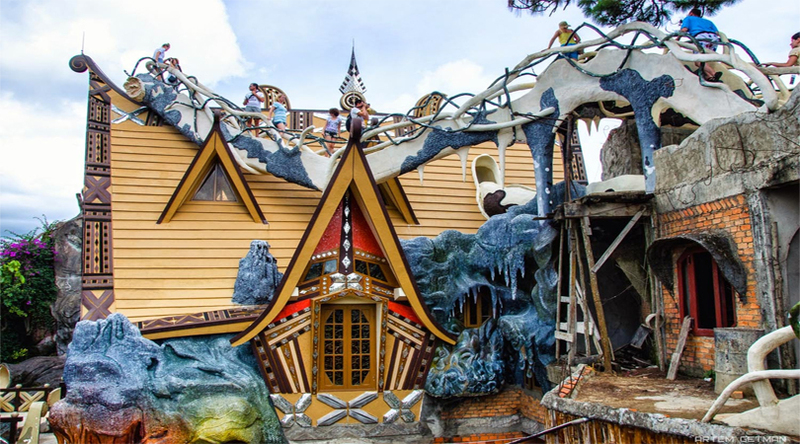 Enthralling, fanciful and super lovable are the word that illustrates these houses the best. 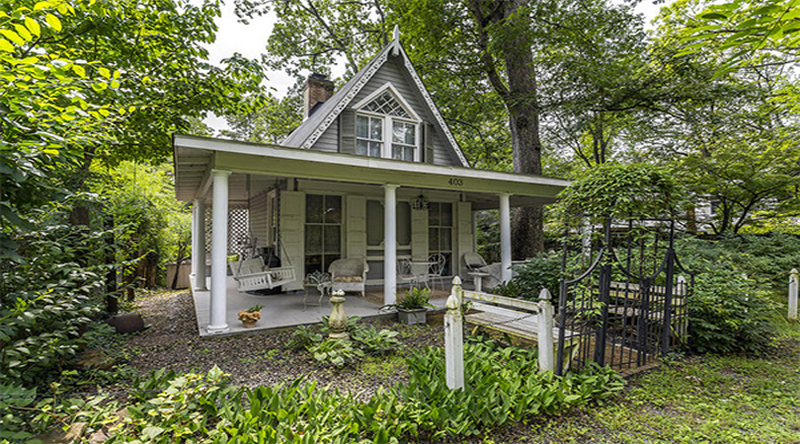 One can stay in them too, Whimsical Houses start at $6,500 for the six footer and increase in price to $12,500 for the twelve footer. This unique house is a finest example of stay for married couples with oh so romantic settings. The place has no kitchen or bathroom yet it has the dream cabin house with heaps of Limoges china with tiny rosebud outlines; chandeliers drenched sparkler; billows of tissue-paper festoons. This picturesque place surely allows you to live your fairytale dream.